Oral hygiene is the first and most important step for preventing dental problems and it involves taking care not only of our teeth, gums and oral cavity but also making sure that what we eat does not negatively affect our dental health. Regular dental examinations are important and our dentists in Romania can provide affordable dental treatments. Some oral and dental problems can be avoided through good habits. However, if the patient has had a history of bad habits, the dentist can recommend future actions that will limit the impact on the overall oral health and in time will lead to an improvement of the overall oral health. Some prevention techniques are simple and can be done at home. Children can learn early how to take care of their teeth and gums and how important this is not only for a beautiful smile but for their general health and wellbeing. The easiest thing to do to prevent future dental problems is to take good care of your teeth on a daily basis. Teeth should be brushed at least twice a day with a soft, flexible brush. If you already suffer from specific dental problems, such as gum disease, our Romanian dentists can prescribe special toothpaste to help ease any existing pain or problems. Flossing is also recommended on a daily basis to remove any particles that cannot be removed by brushing. A well planned diet is a sure way to prevent dental problems in the long run. Healthy food not only contribute to the strenght of our teeth, but have a tremendous impact on our overall well-being and quality of life. Sodas, including diet ones, energy drinks and too much sugar are very often linked to tooth decay and oral cavities. However, other products such as cheese and milk contain calcium that can help protect the teeth. 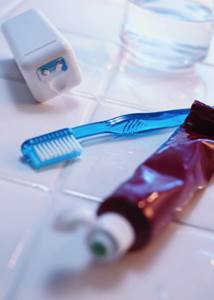 Tooth decay leads to the formation of cavities and dentists recommend treating cavities in their early stages. Our Romanian dentists can provide high quality dentistry services and our dental tourism packages are suited for every needs. You may want to schedule an appointment with our dentist as soon as possible if you experience one of the following signs: pain from a particular tooth, sensitivity to hot or cold beverages or food and bad breath. Gum diseases should also be prevented and sometimes it can be linked to serious health problems like diabetes or even heart disease. If you are suffering from any kind of disease, your physician can tell you if your gum problems are linked to any existing health problems. Common symptoms of gum disease include: red or swollen gums, bleeding, pain, bad breath, and others. Although dentists can treat existing problems, prevention is recommended to avoid serious complications that may lead to more serious dental problems. Please contact our team of Romanian dentists if you are interested in one of our various treatment plans available through dental tourism in Romania.